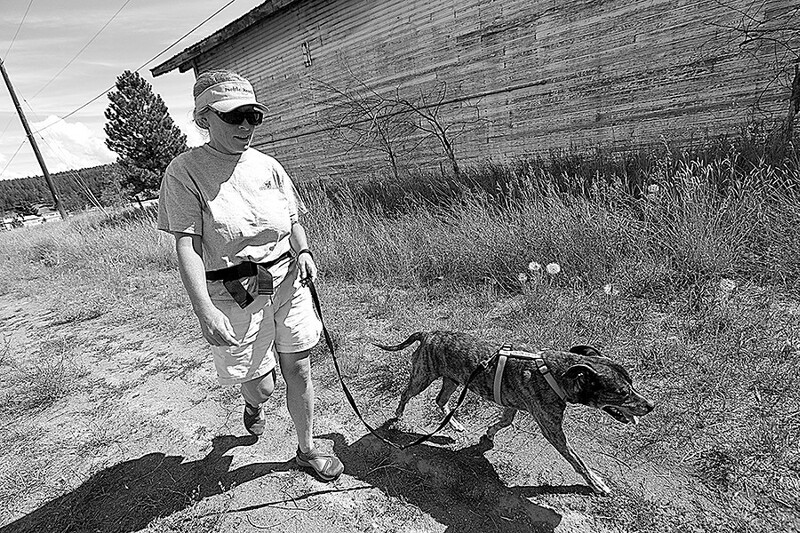 Volunteer Mary Anne Sullivan walks 10-year-old pit bull mix Dozer at the Spokane Humane Society. We could argue this both ways. It's never been easier to find ways to give back to the community in this era of social media, crowdfunding and overall ease of access to the Web. At the same time, the sheer number of opportunities out there can overwhelm and even hinder our ability to find the time or causes we're most passionate about. A recently launched online hub for local nonprofits to share their volunteering needs seeks to change that perception. In conjunction with the City of Spokane's Spokane Gives week campaign held in April of this year, Spokane County United Way teamed up with the city to launch volunteerspokane.org. 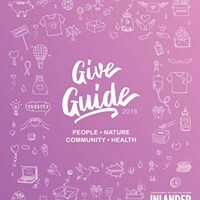 The site allows local agencies to create profiles and list their needs for volunteers, in-kind donations and other ways in which the public can help further their causes. Users can search for those requests by agency, cause or specific, often one-time, volunteer events. United Way Vice President Janice Marich says the site is still growing. There are currently 165 agencies in the database, but she knows there are more out there not yet utilizing its free services. Some of the current listings include requests for help weeding and harvesting the Spokane Valley Partners Community Garden, and groundskeeping at St. Anne's Children & Family Center. Giving up time to volunteer on those precious days off doesn't have to be a major time commitment. Not to toot my own horn, but I've personally had few issues balancing volunteer duties at a local nonprofit whose cause I'm passionate about — the Spokane Humane Society — while working both a full- and part-time job, and fitting in social and personal commitments. It's not always easy, but it's totally doable. After signing up for an initial 60-minute orientation, volunteers can access an online portal to sign up for one or more hour-long shifts, any day of the week. The options to cuddle and socialize animals range from dog walking, kitty cuddling, helping the front desk staff and many community outreach events throughout the year. The shelter requests that new volunteers commit to at least six hours a month during their first three months helping out. Find out more at spokanehumanesociety.org. While it may take a deeper search to find opportunities that are kid-friendly, such volunteer events do exist and can instill the value of giving back at an early age. One of the region's largest social service nonprofits, Catholic Charities of Spokane, offers a few ways for kids to get involved, says volunteer services manager Brigid Krause. She adds that volunteers age 15 or younger must be accompanied by an adult 21 or older who also has gone through the application process. 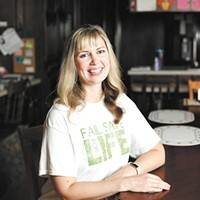 Krause says many area families with children help out together once or twice a month doing light chores in the homes of some of the nonprofit's disabled adult and senior clients. Children are also welcome to volunteer with an adult at St. Margaret's Shelter for mothers and children. Krause says there is no minimum age for children to be involved with these activities, but in most cases she says kids should be old enough to understand and gain something from the experience. Find out more at catholiccharitiesspokane.org. 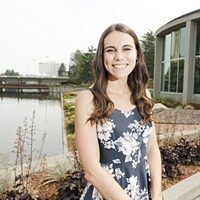 Ask any nonprofit employee, like Mobius Children's Museum and Science Center's volunteer coordinator Alina Carleton, and they'll likely agree that they would rather have someone give a little bit of time than none at all. "The biggest hurdle of volunteering is time, and if someone has 20 minutes to give, I'm happy to have them," Carleton says. Volunteers at Mobius' two downtown learning centers must be at least 14 years old, and can assist with exhibits, early-childhood education sessions and fundraising, among other duties, she says. Similarly, the Salvation Army of Spokane has numerous volunteer opportunities, like helping clients at its food bank find items they're qualified to accept. The organization also oversees several large, annual fundraisers and drives, like Toys for Tots during the holidays, and its recent Backpacks for Kids program. Volunteer Jody Jones, left, hands food items to Genesis Marcial, who has been homeless for 8 months, at the food bank during Homeless Connect, held at the Salvation Army. United Way’s annual Day of Action for the community to give their time and talent is set for Thursday, Sept. 11, and work parties are scheduled around town. 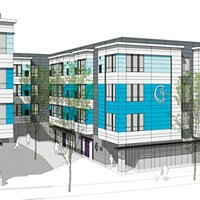 Visit volunteerspokane.org to see this year’s needs and sign up to help.